With the painting, the Affordable Interior Paiting team can create real works of art on the wall, and an example of this is the current trend of painting and decorating the walls with horizontal or vertical stripes, creating modern and very original spaces. The striped decoration allows infinite visual variety through the combinations of color, or width of the stripes. In decoration with stripes, there is nothing right or wrong, it is a matter of taste, and as they say "for tastes, colors." When we think of decoration with stripes, the most interesting point is the versatility they offer. That is, there is an infinite color combination and the results can be from elegant spaces to very jovial and fun, thanks to our varied palette of colors that we have and of course by the experience that characterizes us. It should be noted that the striped decoration can performed in any environment, from bathrooms and bedrooms, living rooms and home offices. Our imagination has no limits therefore our jobs go beyond the houses. Decorated living room painted with horizontal stripes in gold color. 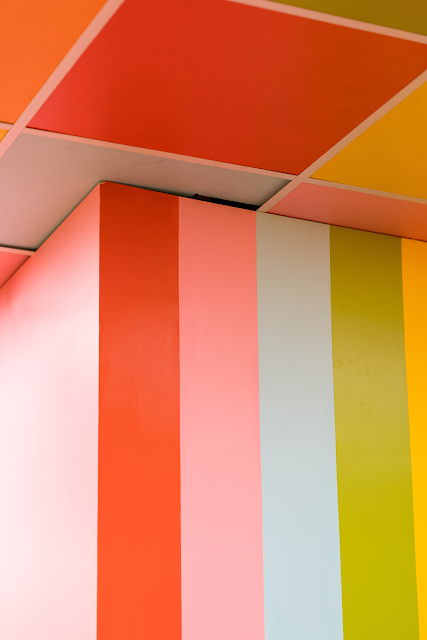 Painting a striped wall not only immediately gives a modern and original touch to the space where they are painted, but depending on the colors, other nuances can be added to the decoration. In this case we assure you that the stripes painted in horizontal to the color of gold combined with a soft brown, give the lounge a sophisticated and elegant touch. 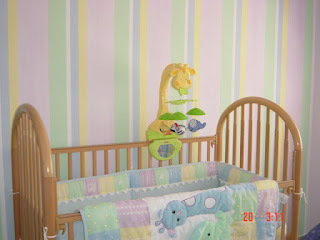 Bedroom decorated with horizontal stripes in pastel colors. In the bedrooms we usually apply soft colors on the walls that invite relaxation, but many people think that these colors are ... boring. In our hands that feeling of boring colors will be totally transformed into the fantastic combination for your bedroom to look serene but elegant. 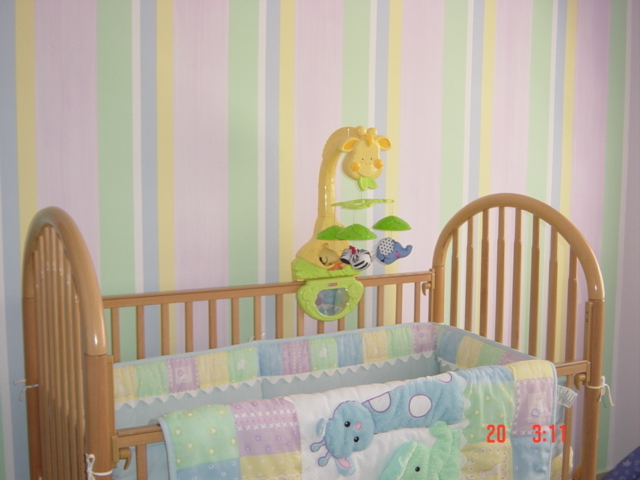 Wall decorated with a plinth with pink, red and green stripes. There is no reason to use stripes on the entire wall, you can paint stripes only on a part of the wall how? Creating a base at the bottom, separated by a wide horizontal white stripe and the upper part painted with a pale pink. A winning combination. Actually we have many more ideas so that your space is sensational with the striped paint, you just have to contact us to expand this information and receive the best offers from Brooklyn. Article created based on: Ideas de decoracion (2013), Inspiración para una decoración con rayas (2015).